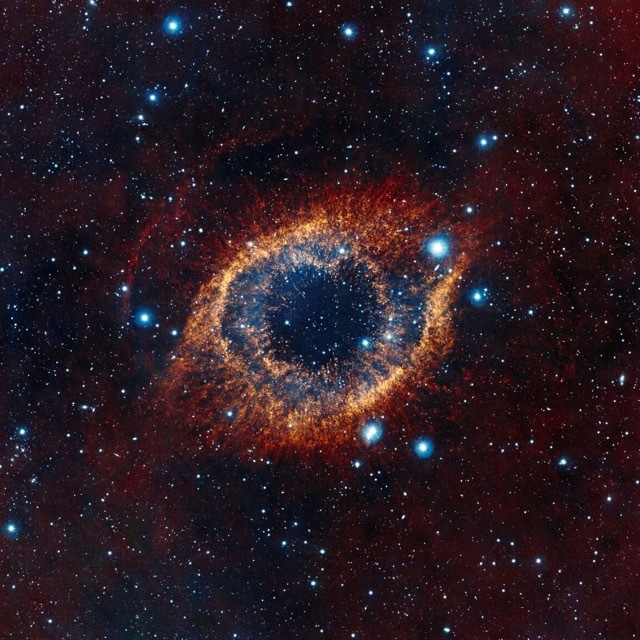 This is the Helix Nebula in the constellation of Aquarius. It's sometimes called the "Eye of God." A little disconcerting, isn't it? I found it on the Space reddit and just had to share it.